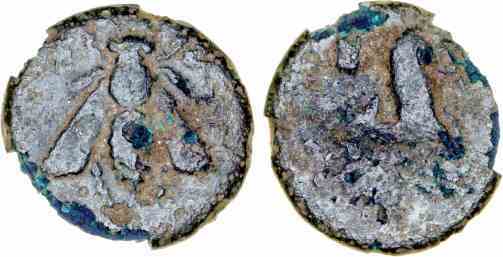 Bronze AE14, 14mm, 1.44gm, issued c. 300-200 BC. Obv: Bee with open wings. Rev: EΦ, Stag standing looking back.